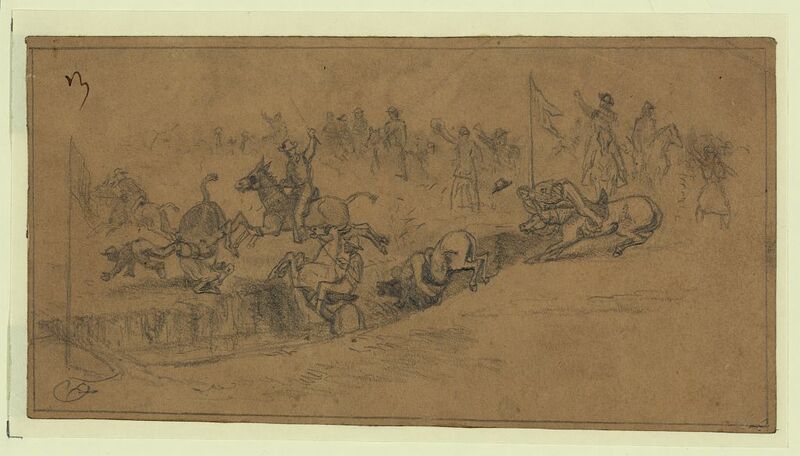 St. Patrick’s Day was an important occasion for all the Irish regiments in the Union Army, and those in the Army of the Potomac were no different. The fighting of 1862 had turned these Irish volunteers into veterans, and many had fallen at battles such as Gaines Mill, Malvern Hill and Antietam. 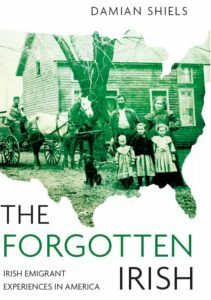 Memories of the defeat at Fredericksburg and the trials of the ‘Mud March’ were still fresh in their minds as the Spring of 1863 arrived. Despite this, there was the prospect of enjoyment on the horizon, and as St. Patrick’s Day approached the men’s spirits began to lift. To come off the 17th March, rain or shine, by horses, the property of, and to be ridden by, commissioned officers of that Brigade. 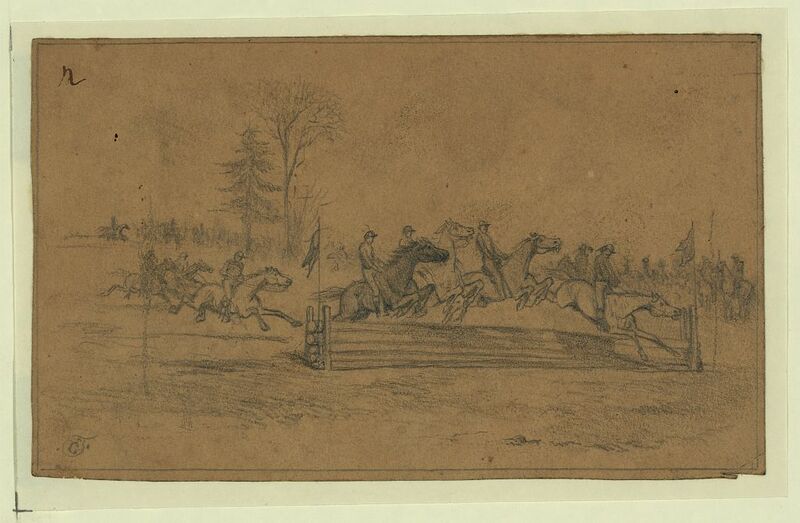 The prizes are a purse of $500; second horse to save his stakes; two and a half mile heat, best two in three, over four hurdles four and a half feet high, and five ditch fences, including two artificial rivers fifteen feet wide and six deep; hurdles to be made of forest pine, and braced with hoops. The evenings at both celebrations were spent in drinking and general merriment. Poems were read and songs sung, and for a day and a night the worries of the war were left behind. 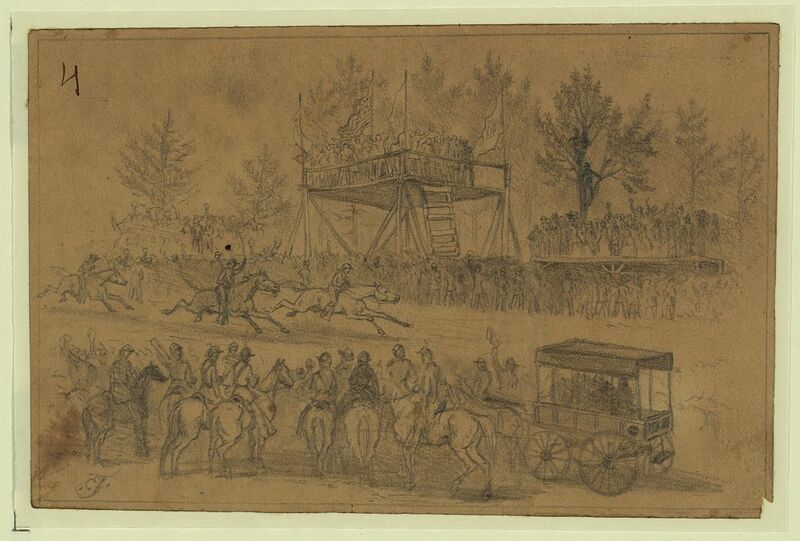 The day was long remembered by all who were present, especially the horse races put on by the Irish Brigade, which would pass into legend in the Army of the Potomac. We are fortunate that one of the men who was in attendance was Edwin Forbes, a Special Artist with Frank Leslie’s Magazine; his pictorial record of some of the activities that day hint at what a spectacle it was. 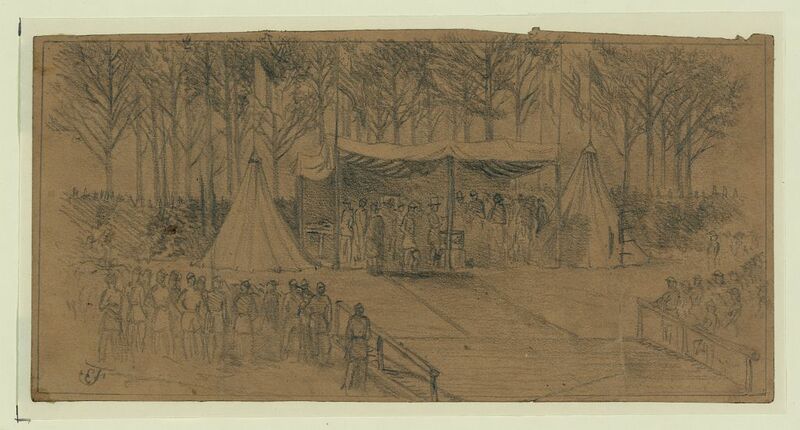 With the festivities at an end camp life returned to normal, and the men prepared for what promised to be a tough campaign. 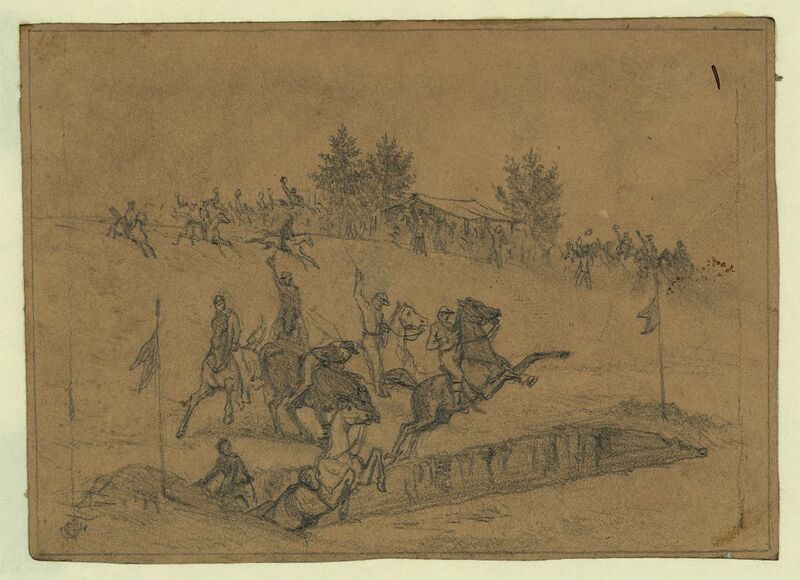 The battles of Chancellorsville and Gettysburg lay ahead for them, and for many the 17th March 1863 was their last St. Patrick’s Day. These all-day festivals sound wild. ‘Tis wonderful to know they had a grand celebration. I’m sure it did their hearts and souls good. Great story Damian. Very nice job.Reading this one day after Saint Patrick’s day and five days removed from marching with the 69th Irish volunteers regiment of the Philadelphia Brigade in which we were the honor guard of the 1916 uprising group,which was the theme for the parade this year.I only hope that my Great-uncle Cyrus O’Daniel is aware of the current appreciation of todays reenactors and Irish community.Yours in fraternity,Brevet 1st.Sgt.Dave O’Daniel. Thanks David! I hope the parade went well!